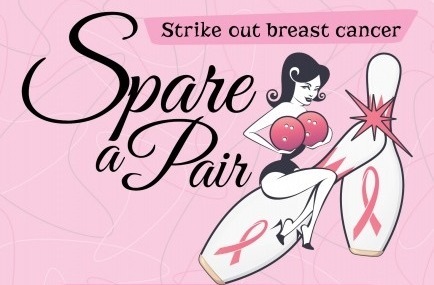 This event began in 2010 as two women wanting to help low-income women in our area who had been diagnosed with breast cancer. Over the past 10 years it has grown into a two day event to accommodate the over 80 teams who come to support women in our local community with testing and treatment of breast cancer. WHAT is the event? It’s a fun time for your team of five people. 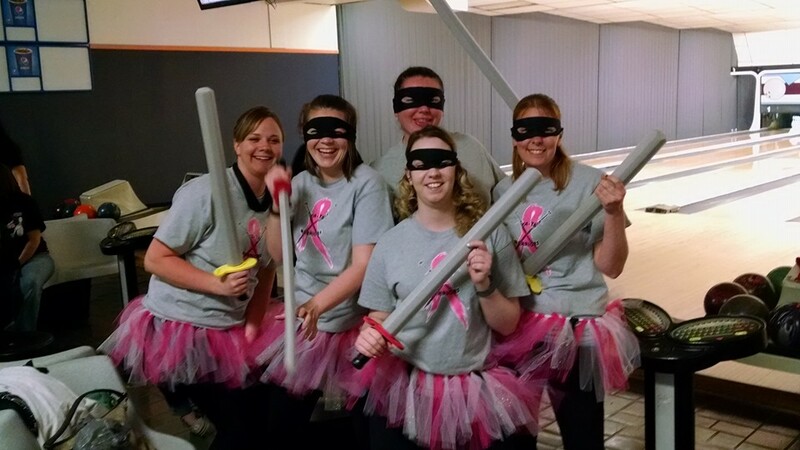 You get to bowl 3 games, dress up in costume, buy raffle tickets for some great items, grab a pink drink, and have a LOT of fun! WHEN does it happen? The last weekend in April. 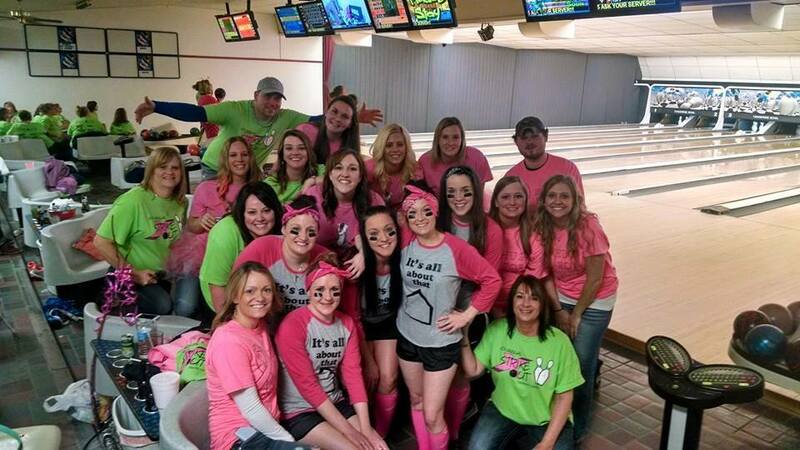 This year bowling shifts start on Friday April 26th at 7:00pm, and Saturday at Noon, 3:00pm, and 6:30pm. HOW do I sign up? 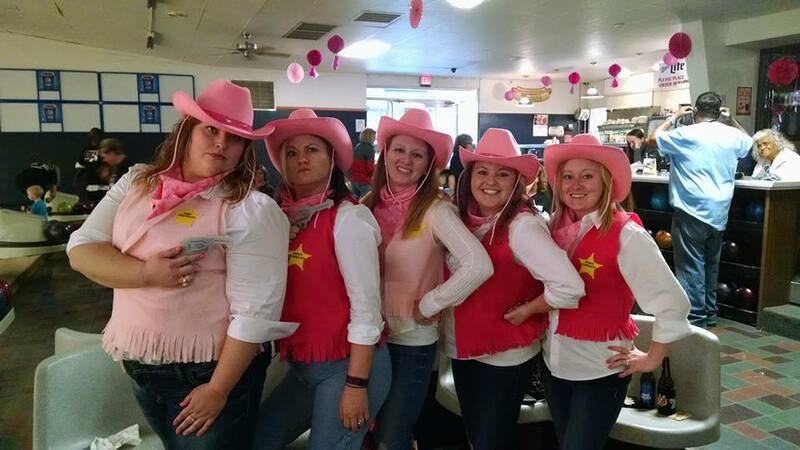 We have sign up sheets at the Tangerine Bowl in Quincy, at the Mark Twain Casino in La Grange, MO, and soon they will be available on the Blessing Breast Center’s website. The evening shifts usually fill up first so be sure to get those sheets in as soon as you have your team together! Need More Information? Want to make a monetary or raffle donation? 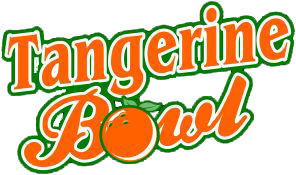 Call the Tangerine Bowl at 217-222-8262.